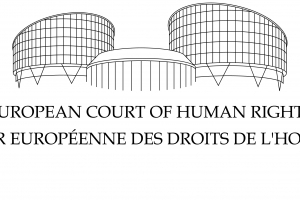 The European Court of Human Rights was established by the European Convention for the Protection of Human Rights and Fundamental Freedoms, opened for signature in Rome in 1950. It is based in Strasbourg (France) and has jurisdiction on all matters concerning the interpretation and application of the Convention and its Protocols. The Court may receive applications from any person, non-governmental organization or group of individuals claiming to be the victim of a violation, by one of the Contracting States, of the rights described in the Convention or its Protocols. The Contracting States can't hinder in any way the effective exercise of this right. The Court shall not deal with any application submitted that is anonymous or substantially the same as a matter that has already been examined by the Court or has already been submitted to another procedure of international investigation or settlement and contains no relevant new information. The Court shall declare inadmissible any individual application submitted if it considers that the application is incompatible with the provisions of the Convention or its Protocols, manifestly ill-founded, or that that the application is an abuse of the right of individual application, or when the applicant has not suffered a significant disadvantage, unless respect for human rights as defined in the Convention and its Protocols requires an examination of the application on the merits. Legal representation is not required to submit an appeal before the Court, but is recommended. We can help you to fill out the application in French or English. It does not matter what is your nationality or country of residence.